With the temperatures increasing, Coach is asking its customers to take a minute and admire the view from above – of their shoes, of course! 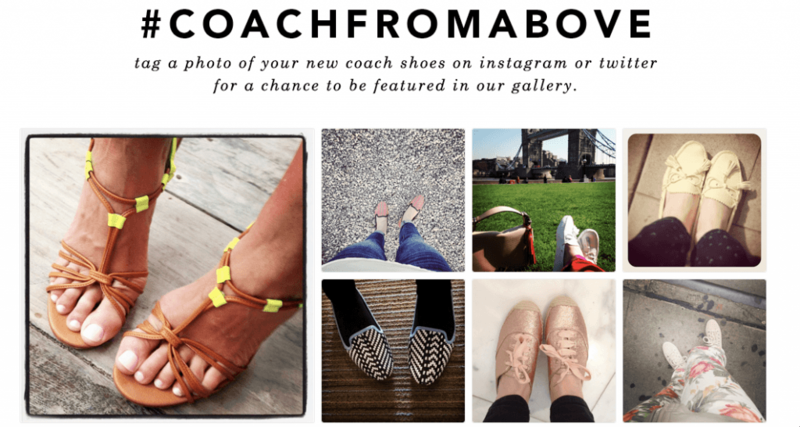 Using the #coachfromabove hashtag, fans are asked to share photos of their Coach shoes on Instagram or Twitter for a chance to be featured in a gallery on the company’s website. Over the past 8 weeks, the campaign has generated 629 uses of the #coachfromabove on Instagram alone, including those from Coach. 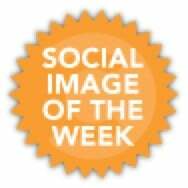 Do the math and that’s an average of 78 per week, not including the photos submitted via Twitter. It’s also worth noting that there’s no chance to win, or other incentive beyond recognition on Coach’s website and social media. As noted in the gallery, Coach is using Olapic to secure permissions for the crowd sourced images. Browse the photos submitted and many are very well done. Most are taken in the style of “selfies,” also known as a self portrait. Many of the images are editorial, meaning that they’re not far from what you might see on a fashion blog, or in a magazine. The campaign follows the continuing trend of brands encouraging and celebrating user-generated content. From Lululemon’s #thesweatlife, to Victoria Secret’s #VSTeenyBikini campaign, companies are increasingly asking their fans to share images of how their brand plays a role in their lives. This is especially strategic for fashion and beauty brands, as customers can see things like apparel and makeup on real people versus models, allowing them to judge things like fit and learn styling tips. However, what takes Coach’s UGC campaign a step further, is how they’ve taken the #coachfromabove theme and maximized it across multiple web and social media channels. 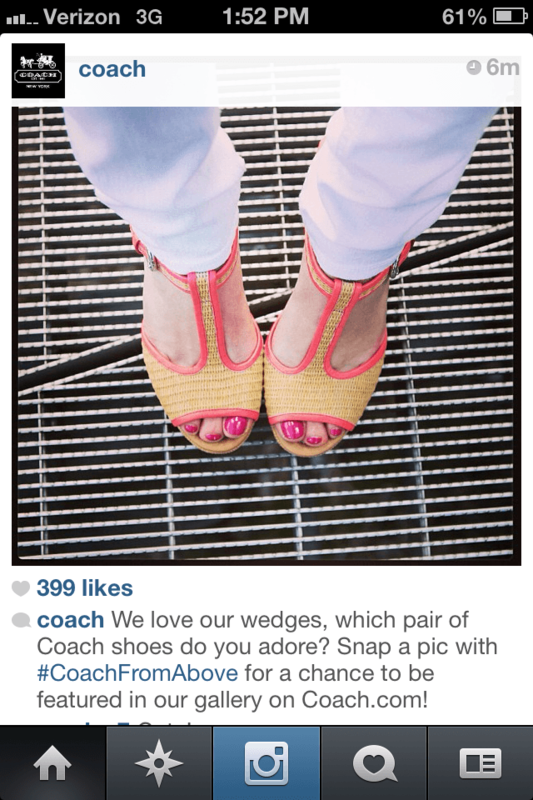 In addition to Instagram and Twitter, Coach is also sharing the images across a dedicated board on Pinterest and album Facebook. The campaign theme has also been pulled into their blogger/influencer outreach, with fashion bloggers writing posts on their #coachfromabove moments. The company even hosted a live “Head Over Heels” exclusive shoe party on Twitter and Instagram to preview the spring shoe collection, plus market specific events in cities like Chicago, where attendees were encouraged to share photos off their #coachfromabove moments. What’s your equivalent of admiring the view from above?